UPDATE! 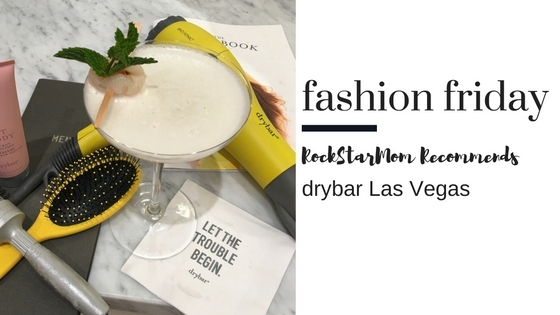 December 2017, a new drybar location opened inside the Cosmopolitan Las Vegas. Located on the 2nd floor, facing the Strip. Admittedly, the space feels smaller, I wish there were more wash bins, and they are struggling a bit in keeping time (schedule your weekend appointment at least 30 minutes before the time you actually want to arrive) I find this new location to be way more convenient than Planet Hollywood- I might be biased. drybar does offer a really easy booking service via their app or online. You can call, too, the customer service peeps are very friendly and thorough. I find the app to be just as easy, if not easier. You want a RockStarMom LV tip? Get your hair done at drybar Cosmopolitan Las Vegas then walk across the bridge to get your make-up done at Tom Ford at the Shops at Crystals (minimum purchase of $100, but tip your stylist because these gals really are talented). It’s amazing. Your blowout will last for days. You have to have this blow dryer. I kept hearing about this drybar from my friends who live in almost every major city in the country. After countless Christmas gift exchanges year after year with requests for drybar gift cards that I had to keep buying online…I was starting to get a little offended that this place had not graced my presence on the Las Vegas Strip. Until now. My friends were right, and I want to extend one of the warmest welcomes to drybar Las Vegas…(it’s about damn time!) located at the Miracle Mile in Planet Hollywood on the Las Vegas Strip. Yeah for me! And all of you! Here’s why…. 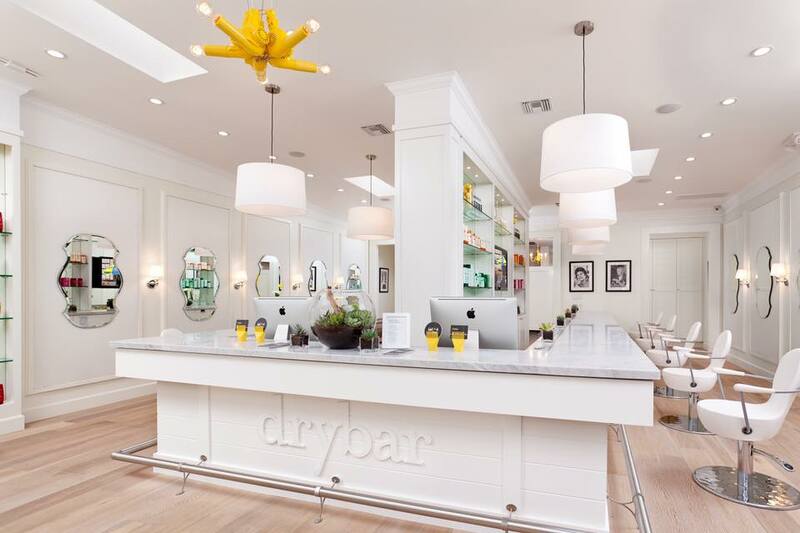 What is drybar Las Vegas? Yes, I asked that question twice-ish because Vegas is the only location with a DJ and full bar on premises during operating hours. Yup. Only in Vegas is more than just a hashtag, it’s for reals. We bring the fun and the life to any party! Especially the one happening at drybar Las Vegas! So, order it up! Your service will take approximately 30-45 minutes depending on what your style selection, which means plenty of time for a cocktail. 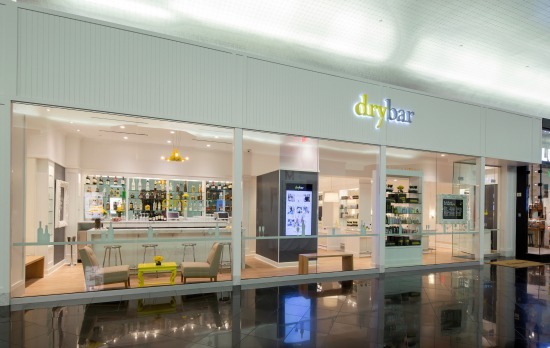 Where is drybar Las Vegas? Located in the Miracle Mile Shops at the Planet Hollywood. 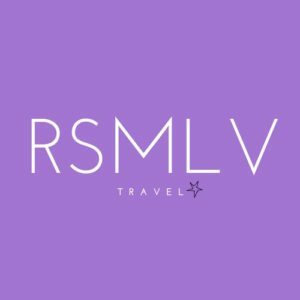 If you are visiting Vegas, I would suggest either walking or Uber yourself here to make it easier. Otherwise, my local peeps, valet park at the Miracle Mile valet (yes, this is a thing…bypass the main valet and look for the Miracle Mile Valet…easiest way to get there is via Harmon behind the actual hotel). Once in from the valet, go up the escalator, make a right and keep walking. And we are walking and walking past the food court, and towards the middle of the Miracle Mile. You will see LUSH (my other favorite place) which is right next door. How Much is drybar Las Vegas? In Las Vegas, the price for a wash and blow out is $49. You can add other services like a braid ($10) or extension ($20), or add treatments to your hair like a floater ($10 for 10 minute scalp massage) or hydrating hair shot ($20). Uptinis (updos) are $100, Shirley Temples (kids blow outs) are $35. 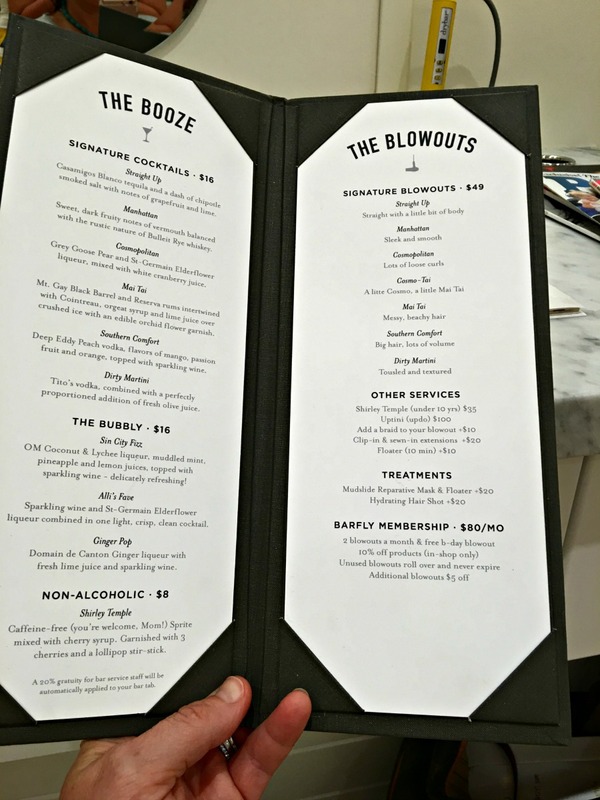 There is also a barfly membership: $80 a month for 2 blowouts, plus a free birthday blowout, 10% off products bought in-store, and $5 off additional monthly blowouts. 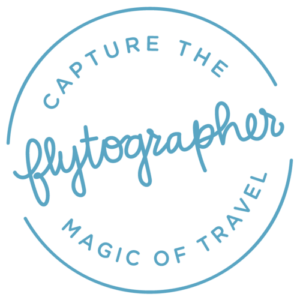 With this membership, your blowouts roll over to the next month if you haven’t used them. So let’s see, for my daily blowout, I can factor in $49 + $10 (who doesn’t want a floater??) + $10 (suggested tip)= $69 into my budget (30 x $69= $2070…). OK, maybe monthly…or bi-monthly. 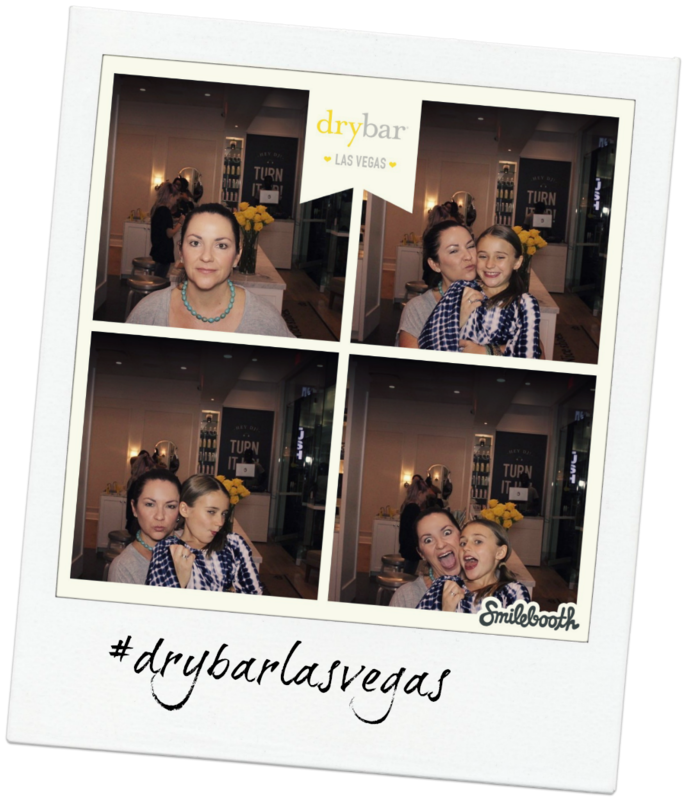 Why drybar Las Vegas? Because why not? 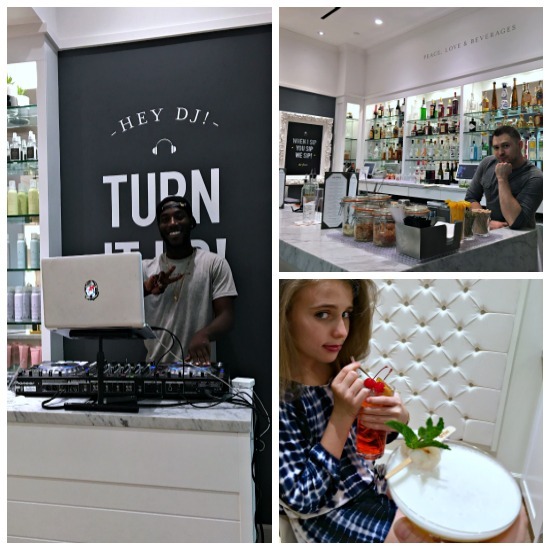 What better way to pamper yourself than having someone wash and style your hair while you sip a Sin City Fizz and listen to some delicious beats spun by the hot, I mean, hottest DJs around? But, truthfully, as a local, I don’t see myself getting there as often as I would like, which is probably a good thing for my wallet. 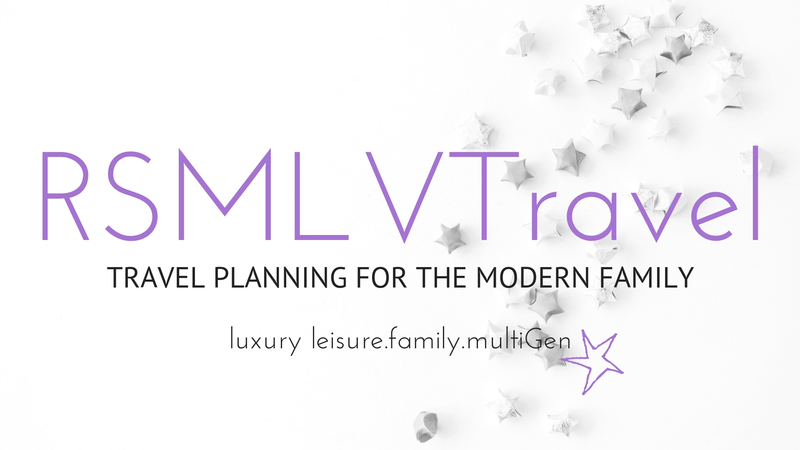 Lucky for me, my hubby works down on the Strip, so I DO see myself booking appointments when I plan on meeting him for dinners or events, because, again, why not? And, easy location for me to access as all I would have to do is cross the foot bridge that connects the Cosmopolitan (City Center for those staying at Aria or Vdara) to Planet Hollywood. With that being said, the valet at the Miracle Miles Shops is actually pretty easy to access as well from a local’s stand point. 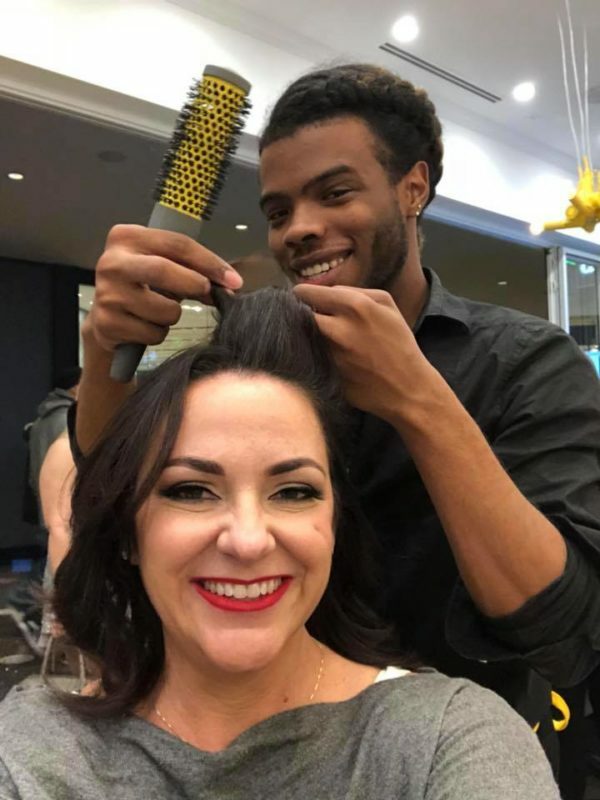 But consider drybar for those special occasions as well: Girls’ Night Out, Bridal Parties, Bachelorette Parties, Mommy/Daughter days, Mother’s Day, New Year’s Eve (if celebrating on the Strip)….the lists and ideas could go on forever. Locals cross your fingers and send good vibes out to the universe that other drybar locations start popping up in Henderson and Summerlin ASAP. 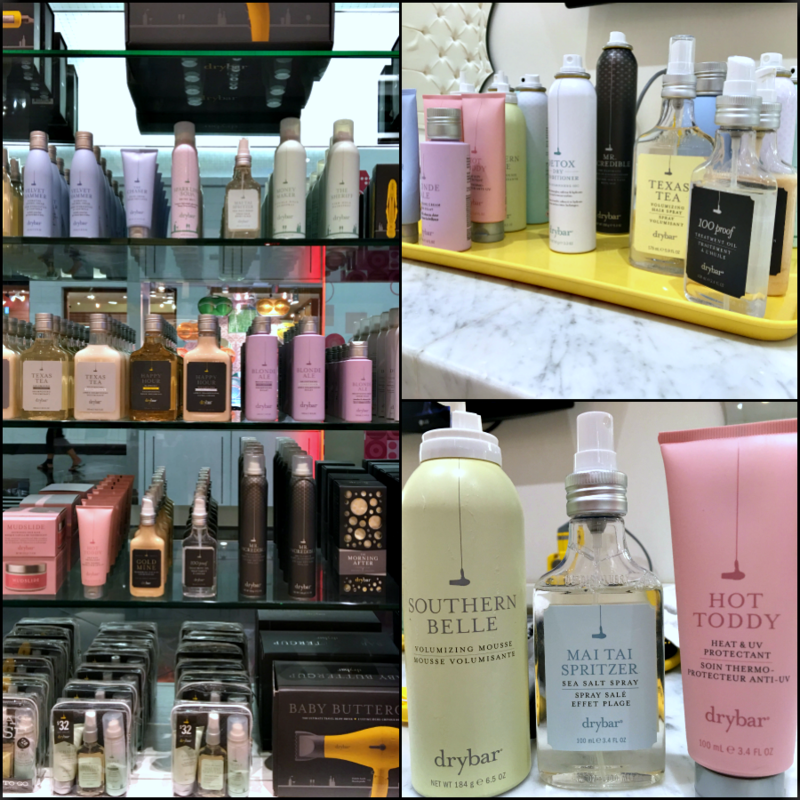 What I  about drybar Las Vegas? Besides everything I mentioned above…product. LOVE LOVE LOVE the product!! Vegan, Earth-friendly, products! No parabens, sulfates, or phthalates. No animal testing. How amazing is that? They all smell divine, they work well and they are reasonably/competively priced for the market. There are products for every concern you can think of it when it comes to preserving and extending the life of that fabulous blowout. drybar offers many of their hair stylist tools as well. My first experience with the buttercup blowdryer was lovely. Priced at $195, it’s definitely a hair tool investment, but I have friends with thick, curly, luxurious locks who claim the buttercup is the only way to go. There is also the baby buttercup now available which is a travel blowdryer priced at $135. But my true love here in this paragraph is the product. I’m obsessed with finding vegan hair and body products. Way to go drybar! What needs work? I can honestly say my experience at drybar Las Vegas was outstanding. Cocktail waitresses, DJ booth, friendly stylists who listen and do what they say they are going to do. Products and hair styling tools were phenomenal. Atmosphere lively and fun. I brought my 10-yead old daughter for a Shirley Temple, which she had both the style and the drink. By the way…just because it’s called the Shirley Temple it does not mean the only style for kids is a head full of tight corkscrew curls…they can choose their own style as well from the LookBook. My daughter had fun, too! 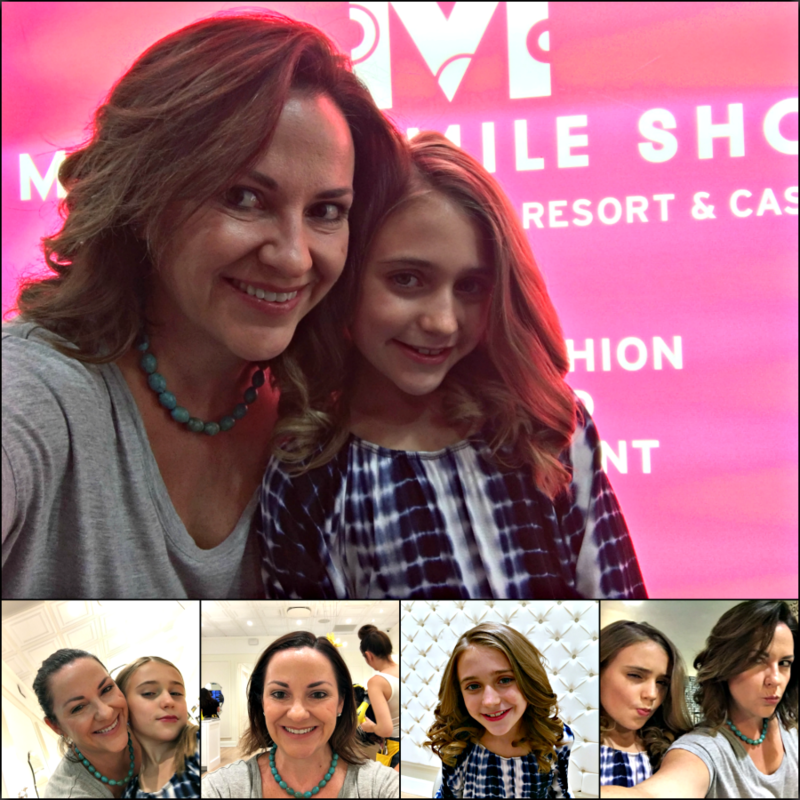 There is a selfie booth, and plenty of photo opps around the salon. 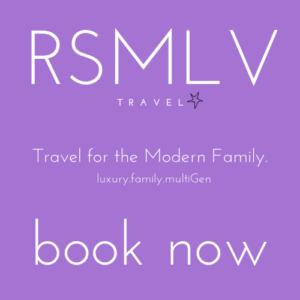 Go ahead…you know you want to…BOOK IT! and Enjoy! 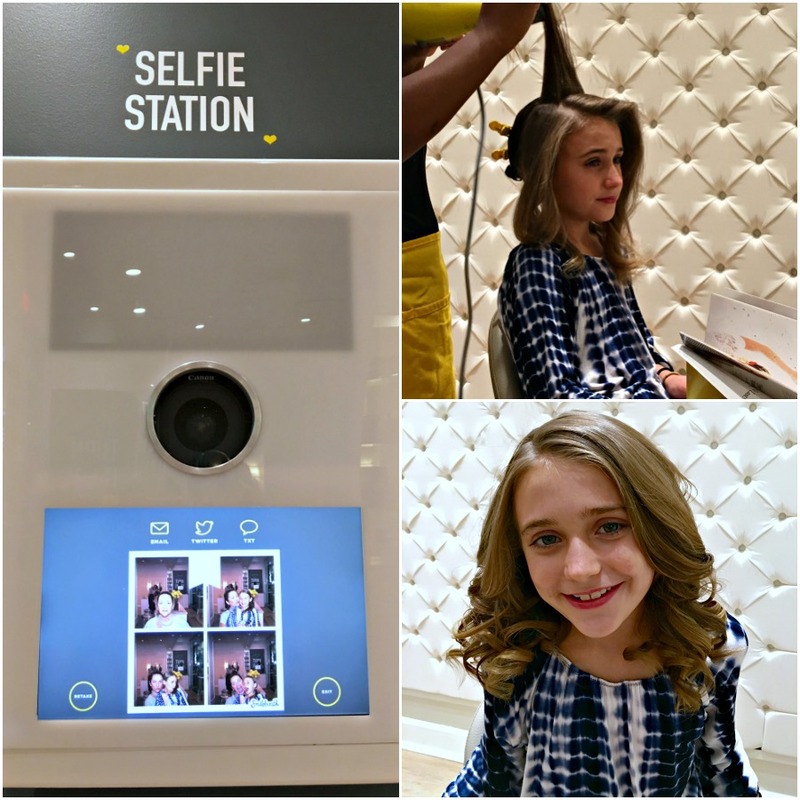 disclaimer: my daughter and I were invited media guests by drybar Las Vegas to experience their newest location located on the Las Vegas Strip…I speak 100% of the truth. Oh awesome! I was just searching for a blow out bar for when I’m in Vegas next month. I’m staying at Planet Hollywood and going to Britney at the end of October so I think I’ll have just enough time to sneak down and get my hair done and have a cheeky cocktail before hand! Thanks for the tip. Thanks for stopping by, Michelle! Hope your experience was great!